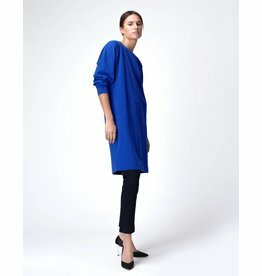 Sweater dress in a supersoft cashmere blend sweat material, very soft and comfortable. Round neckline, raglan shoulders, long sleeves with cuffs. Model wears a size 36, length of the size 36 is 98 cm.